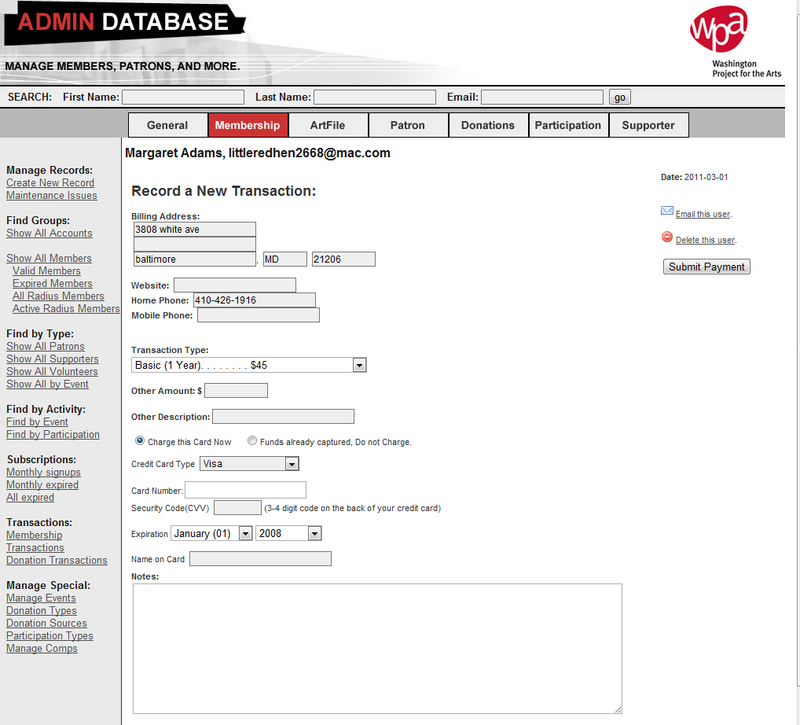 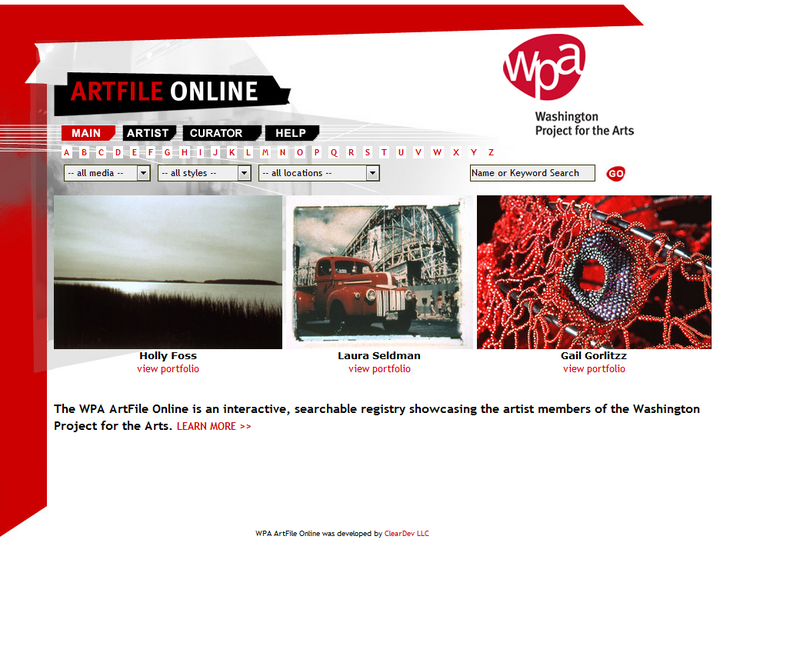 Washington Project for the Arts needed a website to allow artists to sign up to become members which would allow them to manage their online porfolio. 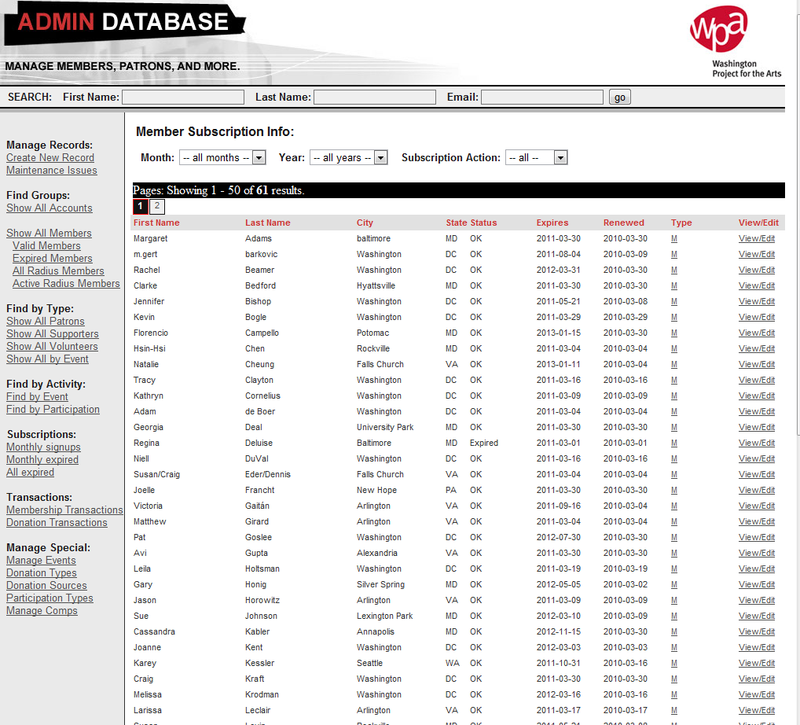 We created a custom tool allow subscription signups with automated renewal process. 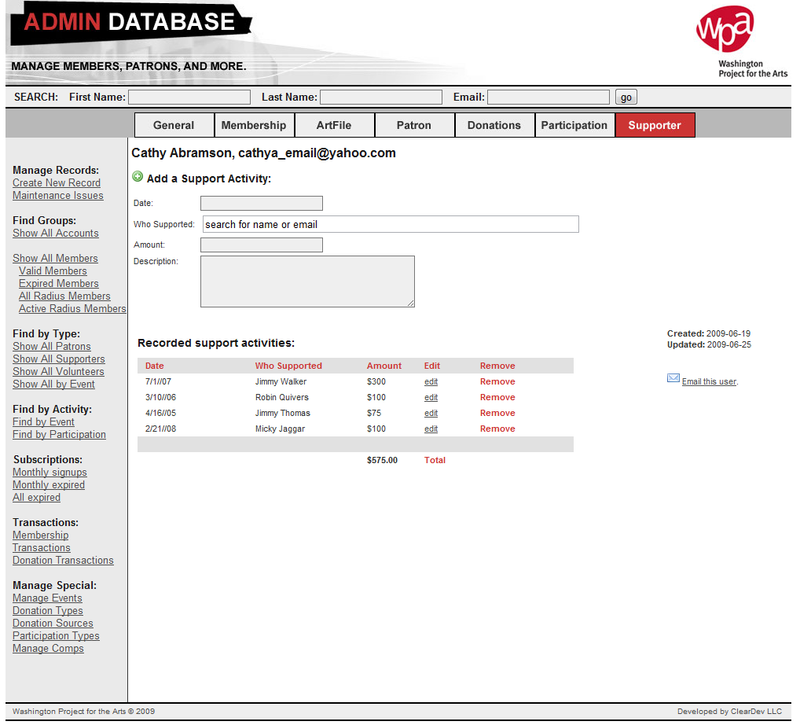 Reminders were programmatically sent out. 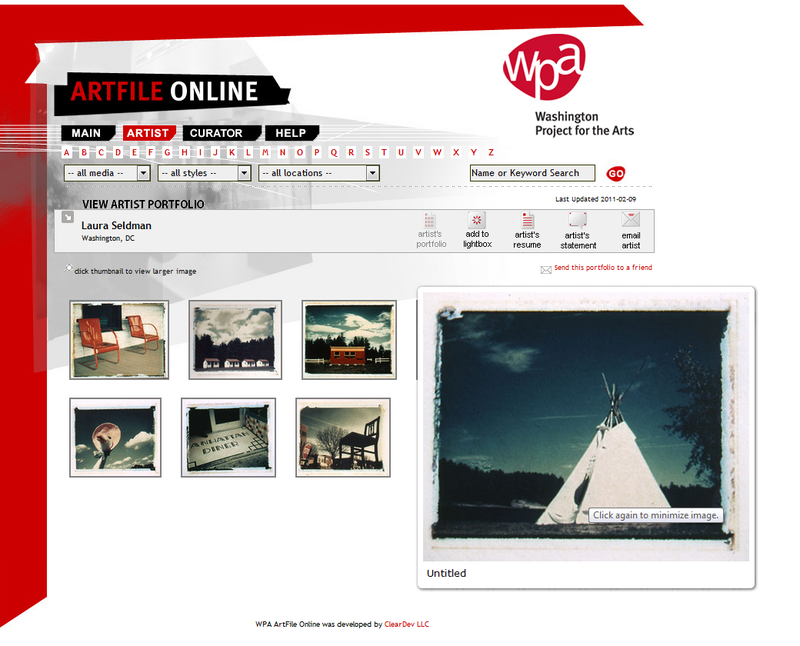 As members they were able to upload their work, categorize it, and describe it. 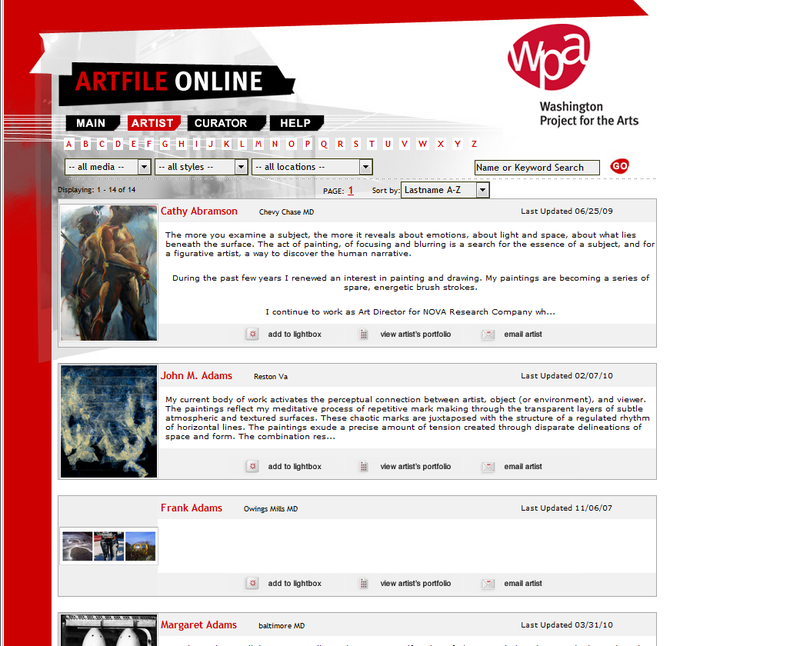 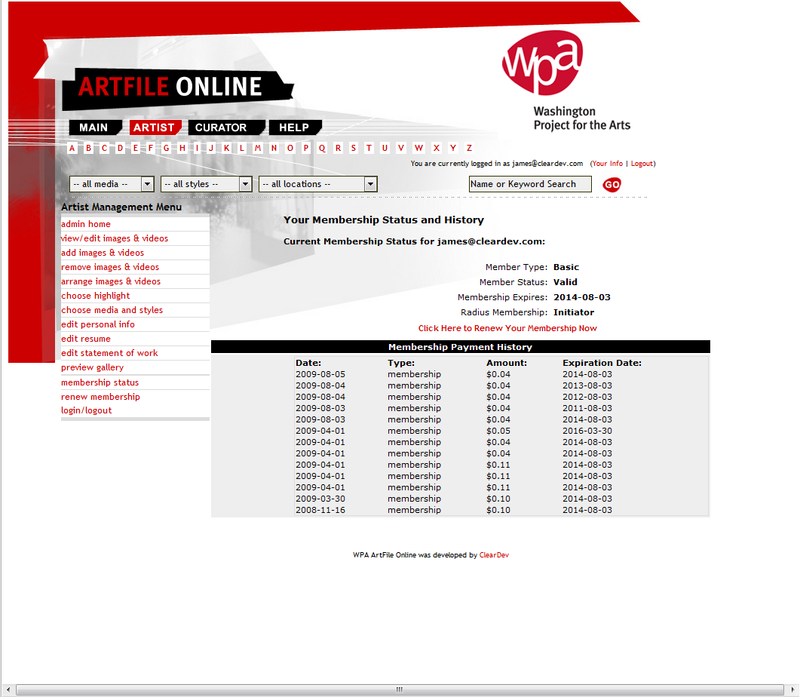 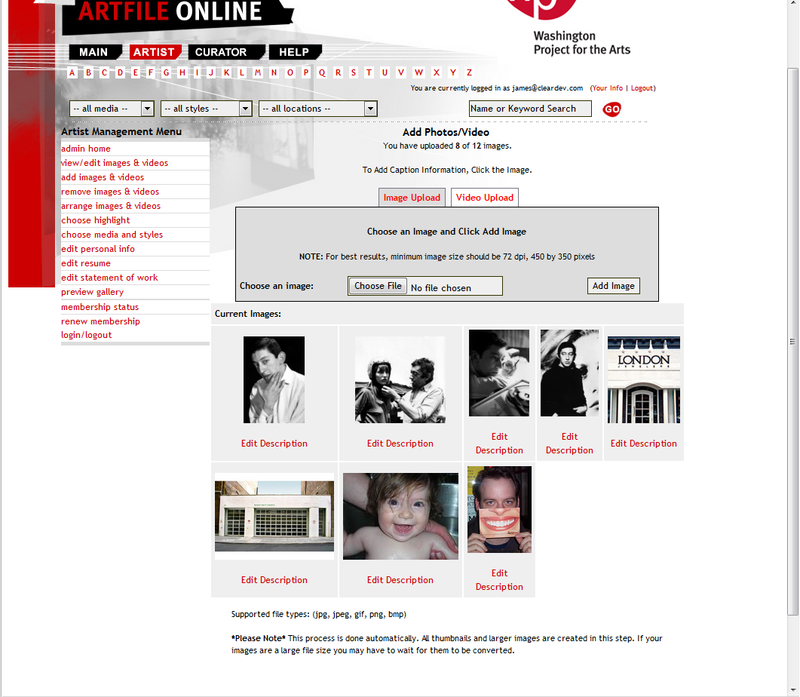 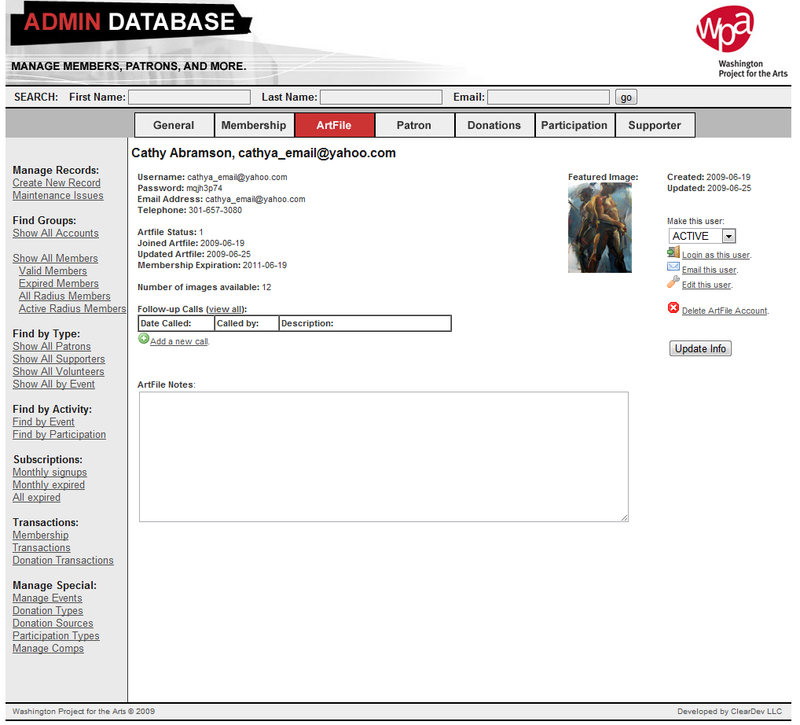 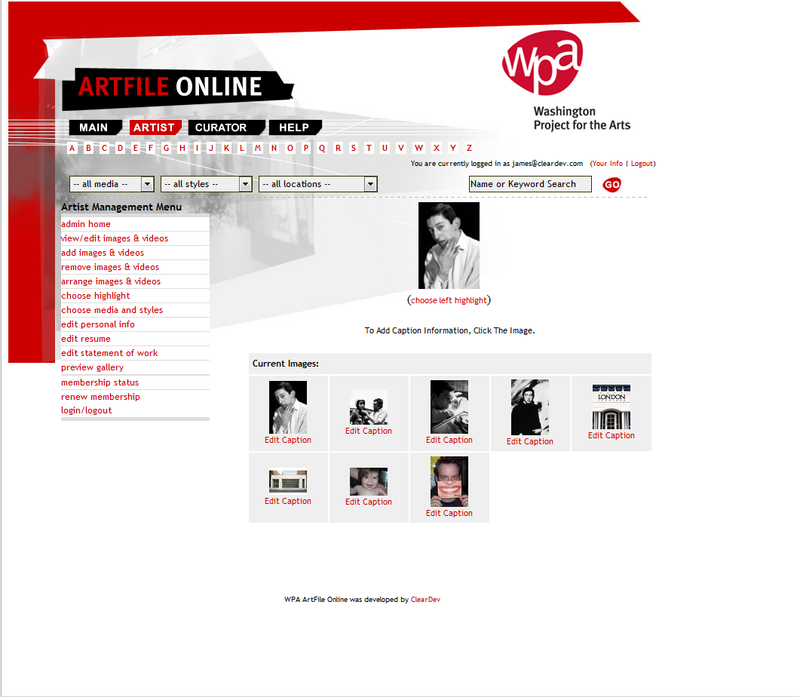 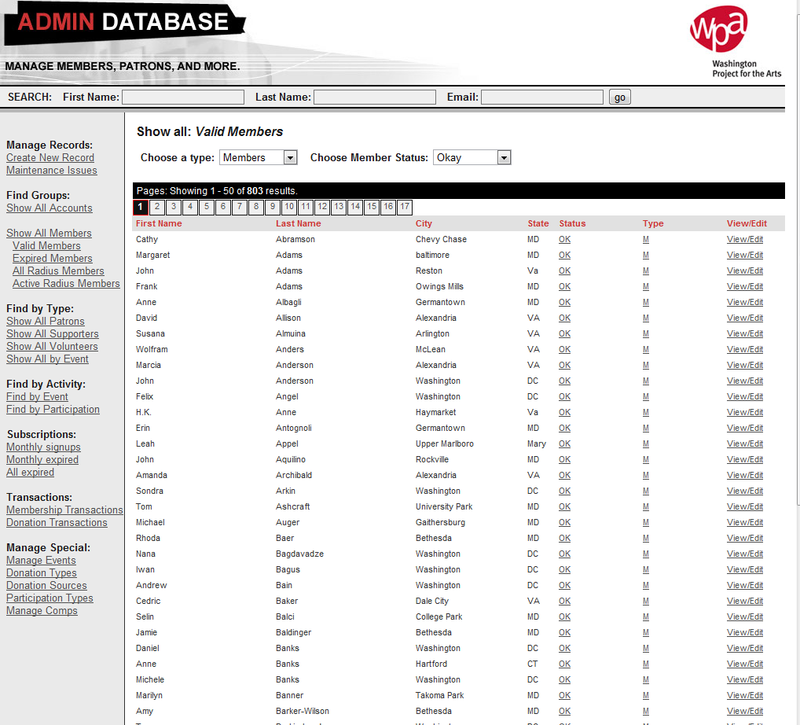 The artists were presented in a searchable interface on the website. 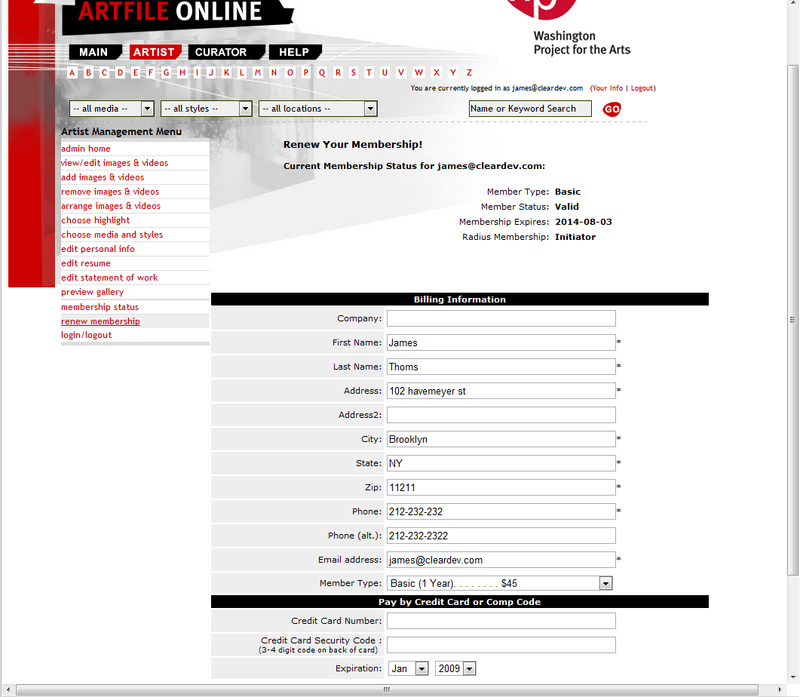 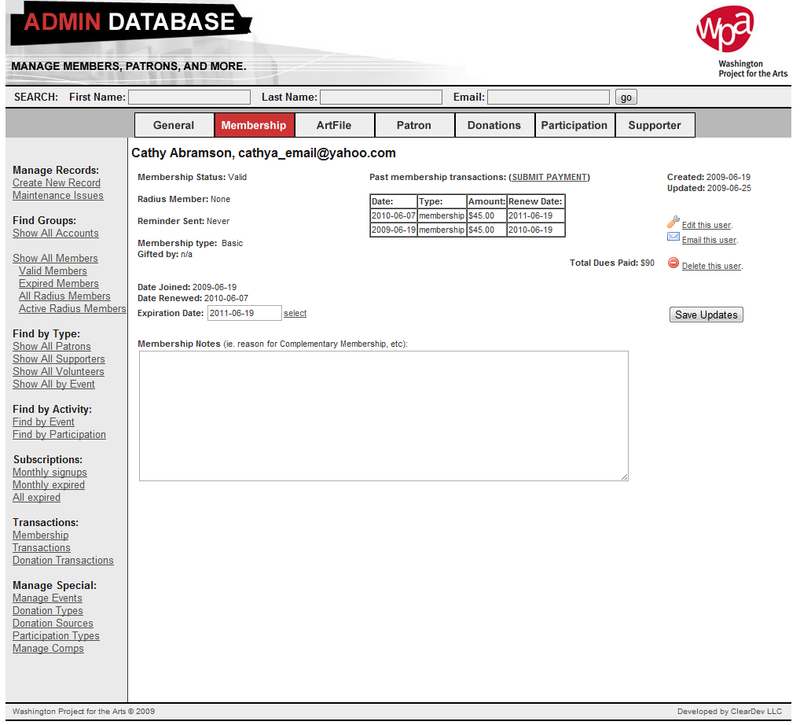 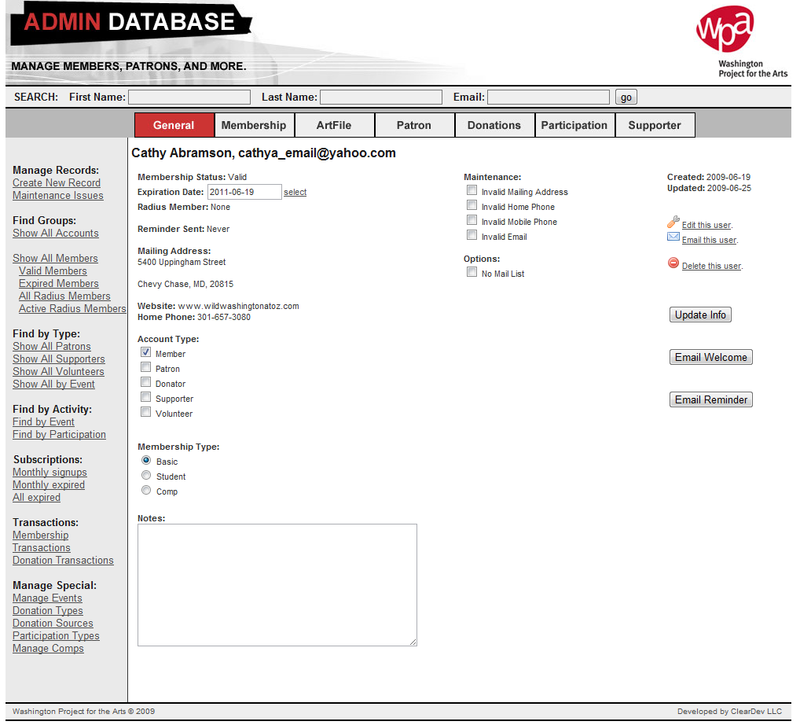 We also created a backend application which was used to print out welcome letters, membership card, and other personalized premiums that members had access to.